Gartner's Hype Cycle is 20 this year and its latest iteration has crowned the "Internet of Things" and "Natural-language Question Answering" as the two most hyped technology with both expected to reach their respective "plateaus of productivity", i.e. when they are will become mainstream. 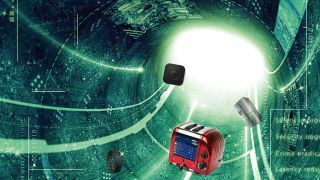 The blunt reality though is that the Internet of Things, where all "things" are interconnected, has been around for a while and has only recently hit the headlines. The fundamentals – and the main players – are still there in what is essentially embedded technology coupled with machine-to-machine (M2M) communication. As Gartner VP and Fellow, Hung LeHong puts it: "Standardisation (data standards, wireless protocols, technologies) is still a challenge to more-rapid adoption of the IoT. "A wide number of consortiums, standards bodies, associations and government/region policies around the globe are tackling the standards issues. Ironically, with so many entities each working on their own interests, we expect the lack of standards to remain a problem over the next three to five years." Ironing out differences and unifying a promising ecosystem – in a way Android changed the mobile landscape - is what makes IoT so enticing. That doesn't mean that businesses are not making billions out of it. Gartner itself predicted that the IoT environment will be populated by more than 26 billion units with an expected market value north of $19 trillion by 2020, if Cisco's CEO, John Chambers, is to be believe.